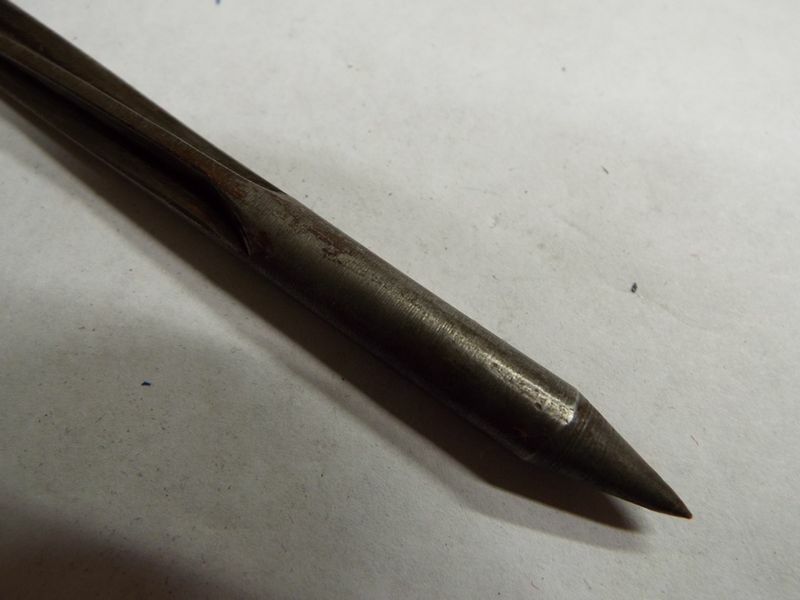 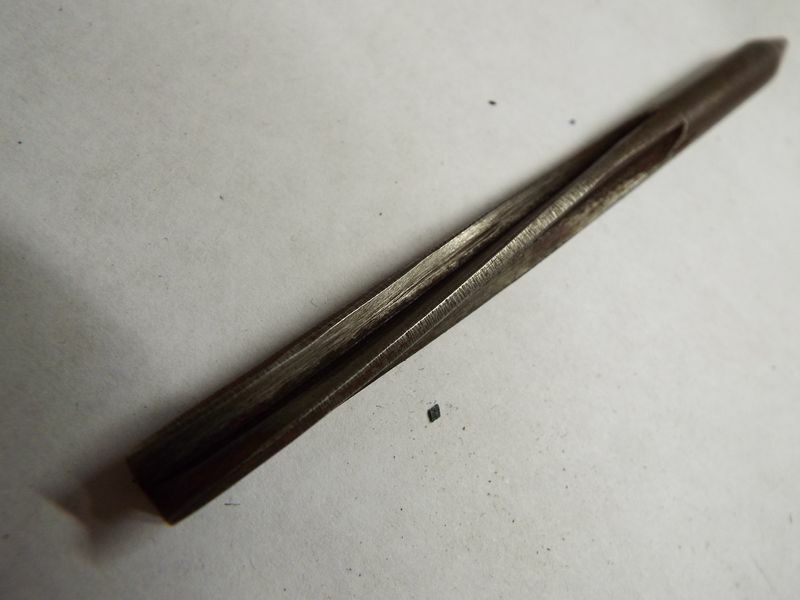 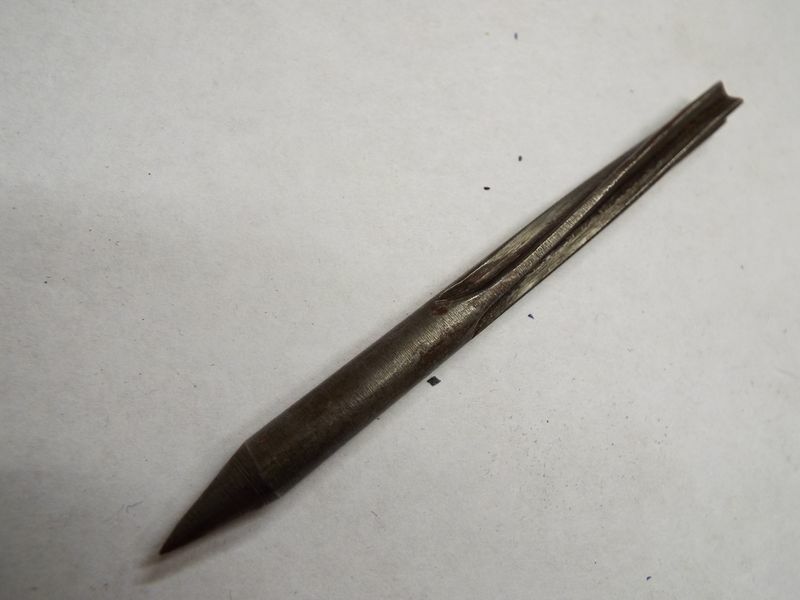 WW1 GERMAN FLECHETTE DROPPED BY PILOTS OVER ENEMY TROOP CONCENTRATIONS. STANDARD GERMAN ONE PIECE TUBULAR MACHINE DART, BUT WITH A TWIST TO THE FOUR BLADE TAIL TO AID FLIGHT. 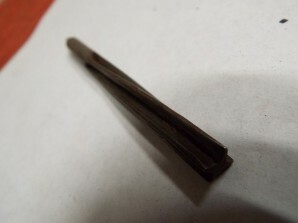 118 MM LON. SOME MINOR RUST STAINING.